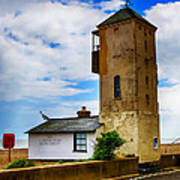 There are no comments for South Lookout Tower Aldeburgh Beach. Click here to post the first comment. 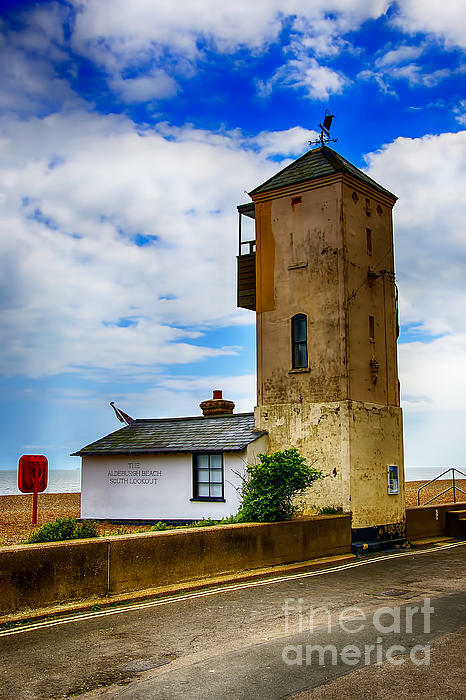 The South Lookout Tower is a 19th Century grade 2 listed building on the beach at Aldeburgh Suffolk, England. It is a rendered and colourwashed brick, with a slate roof. 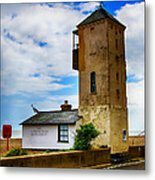 It was built by a coal company in 1830, and has been used as a lookout post for pilots. 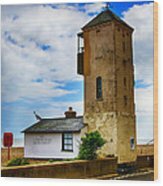 That was the purpose of the building in its day but since then it has been used as a coastguard station and writers and artists have used it.